To celebrate the release of The Sky Above Us, I’m giving away a prize pack of items I picked up in England and Normandy on my research trip! Come join me on Facebook Live Video on February 5, 2019 at 10 am PST/1 pm EST where I’ll describe the items and their significance to the story! The video will be available for viewing afterward as well. Please join me here on my blog throughout this week for a photo tour from my research trip to England and Normandy! Mini die-cast model of a P-51B Mustang! “Yanks replica pack” from the Imperial War Museum, with replicas of Red Cross leaflets, “A Short Guide to Great Britain,” General Eisenhower’s D-day address, Yank Magazine, and even jitterbug instructions! The giveaway is open February 5-12, 2019. US mailing addresses only please. 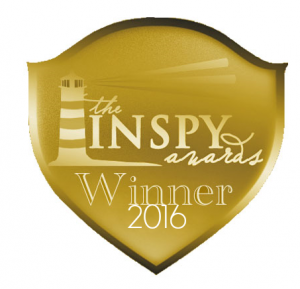 The winner will be announced here on my blog on February 13, 2019 and will be notified by email. Sarah, Looking forward to reading this latest book. thank you for the chance to win. Thank you for the many enjoyable hours I have spent with your created characters. I fall in love with them! I’ve Got To Win & Read This Book! It Looks So Interesting & Then I’ll Let My Daughter Read It As She Reads These Types In Between Taking 5 Classes She Takes At College Going For Her Bachelors Degree. Thanks For Giving Me The Chance To Enter Your Contest. Sure hope the mail comes early tomorrow…but I can started on reading the last book Again…there is always something new that I missed in my hurry to finish the book. I do so enjoy your work. Thank you for the opportunity to win this prize package. May you have great success with The Sky Above Us. I got a NetGalley copy of the book and enjoyed it! (Posted my reviews this morning!). This prize pack sounds fantastic. Thanks so much! Congratulations on your book release!! I’m looking forward to reading it soon!! Congratulations once again, Sarah! I look forward to reading your book! I thoroughly enjoyed the Sea Before Us. I look forward to reading The Sky Above Us. Looking forward to your book arriving! And you know how much I would appreciate everything in that lovely prize package! Enjoy your Release Day!! Looking forward to your new book. I love the cover. Congrats on release day Sarah! I loved Adler’s story and could not put it down. Wonderfully crafted. I posted my review on Goodreads. Congratulations Sarah on your new book! Congratulations on your new book. Thank you for the chance at this awesome giveaway. Looking forward to the new book! I love this time period in history! Looking forward to this latest book! So excited to start reading more about this family. Received Sky Above Us Today. Can’t wait to read it. Thanks for the chance to win all these goodies. Love our military and love reading your stories. Have all your books and book marks can’t wait to get my book. Thanks Sarah for your daily history posts about WWII on our “I Remember Camp Adair & Adair AFS” Facebook group. Your book research has turned up a lot of history tid-bits for us to enjoy. Thank you for your stories. They give me a greater appreciation of what my Mom and Dad faced during those days. Just got Sky Above Us today. I know I will love it. I have loved all your books. Keep writing. God bless you. It just arrived–the mailman even rang the doorbell. The dear little keychain, postcards, and bookmarks have also arrived. Thank you! Now to become immersed in WWII again. Looking forward to reading this book and I appreciate the opportunity to win the fantastic prize package. Thanks for the opportunity! I love all your books! Can’t wait to read another great sundin book! Thank you for the opportunity!!!!! 🎇🎇🎇♥️😇♥️🎇♥️♥️🎇♥️🎇♥️🎇♥️🎇♥️🎇♥️🎇♥️♥️🎇♥️🎇♥️🎇 I LOVE your books!!!!! God bless you!!!!!! Yay! 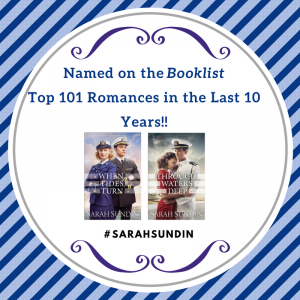 Can’t wait to read another great book by Sarah Sundin! I try hard to pace myself and savor but it might be a long night once I get started reading! Always look forward to your books. Win win situation all around no matter how I get my hands on one. Thank you for this chance to win all these amazing beautiful items which includes your story. I love History and enjoy all the information you give. Can’t wait to read this story. This is so very exciting!!! I’m sorry I wasn’t available to see your FB video. Tuesday is our Church Library workday and I was busy in the library. Love your books! Thank you for offering such a wonderful prize package! I am expecting the book to arrive tomorrow. I am excited to begin reading it soon! Look forward to meeting you at the WCWC Feb 15-16. Blessings as you release this latest book. I am enjoying all the FB history you share. So excited to read this new one. Congrats on the release! Just got your book prepped and ready at our local library. So wonderful to see great books get out there to be shared all over, “Serving 75 Libraries in Southeast Michigan.” We are constantly pulling holds for people. Thanks for sharing your talents and spreading historical and inspirational reading to so many. Your books are so descriptive that I feel that I’m right there with the characters. Thanks letting me travel with them! Such an exciting giveaway, and I am excited to read your latest book. My sons were just looking at one of those “I Survived” books in their bookorder about D-day. Sometimes it is hard for younger generations to grasp the significance of historical events. These momentos would be neat to bring it to life for them. Thanks for the chance to win! Can’t wait to read A Sky Above Us!!! Congratulations, Sarah!!! I REALLY, REALLY hope I win a copy of my own!! Thank you for keeping the past alive for us! Sarah, I am so looking forward to reading The Sky Above Us. I have loved all your books and would love. love love to win this giveaway!!! 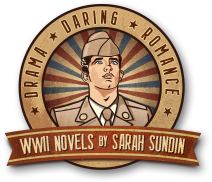 Always ready for the next Sarah Sundin novel! Have managed to find and read all the books so far, so looking forward very much to reading the new one! I started following you when you posted this day in 1943 this is what happened during the war. I have learn so much from you. Thank you for doing a contest. Going to Europe is on my bucket list. Thankyou for a chance to win.